The backdrop will be various shades of pinks, red and white. Consider white, turquoise, navy, black, gray or even a pretty mustard or plum would look great. But don’t worry if you have an adorable pink valentine outfit… it will look adorable! Here’s a Pinterest Board to give you some inspiration. Q: Can you help me do something fun with my child’s images? Of course! 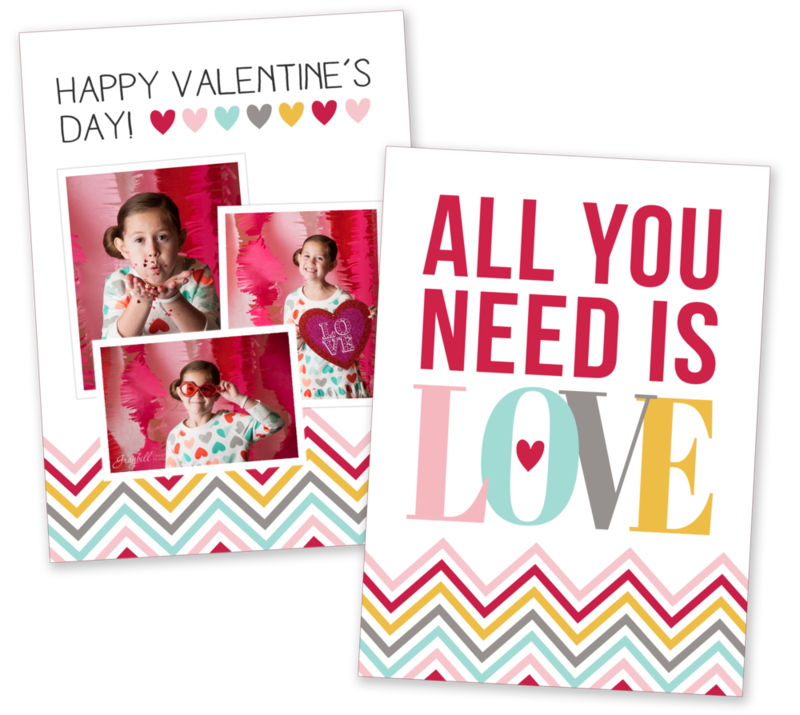 If you’d like to make your images into a card or a cute Valentine treat for friends, I’m happy to help. Here’s an idea that I’ve used for my own kiddos. Q: Can my child bring more than one outfit/costume? Once we confirm the date and time of your session you’ll receive a confirmation right away. I will send an invoice within 3 days. You can pay via Venmo @Nickie-Graybill or through a bank transfer initiated from the invoice I send you.